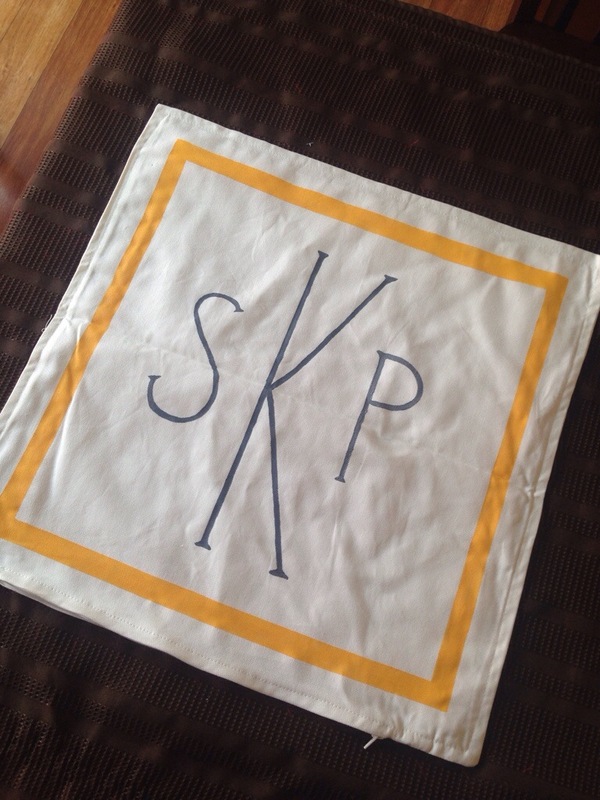 You may recall that I made some pillows for my sisters once upon a time. 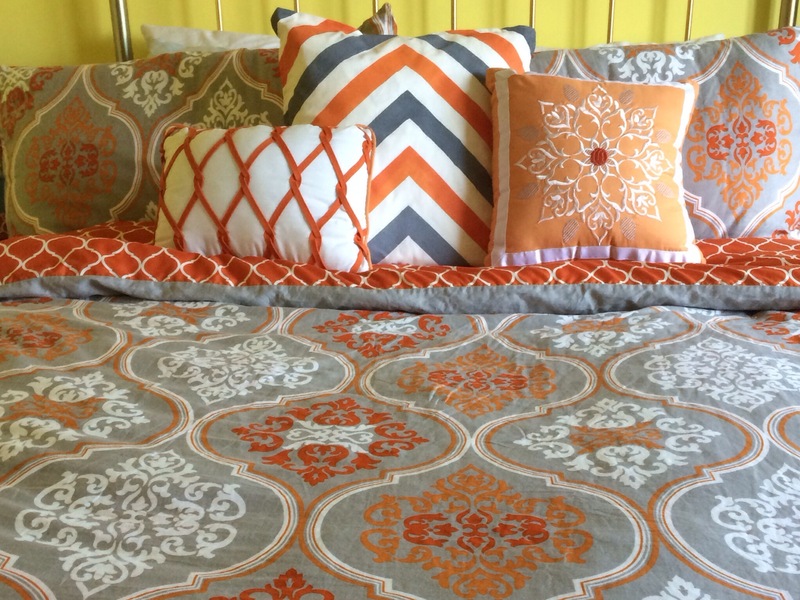 Well, my sister Susie requested another… she had changed her bedding and the magenta one I had made a couple of years ago was clashing with her new orange decor. I grabbed another pillow case on a recent trip to IKEA and put off making this pillow for months. Hey, I’m a busy girl! Lucky for me Susie would not let me forget that I had promised a new pillow. One side of the finished product is above. 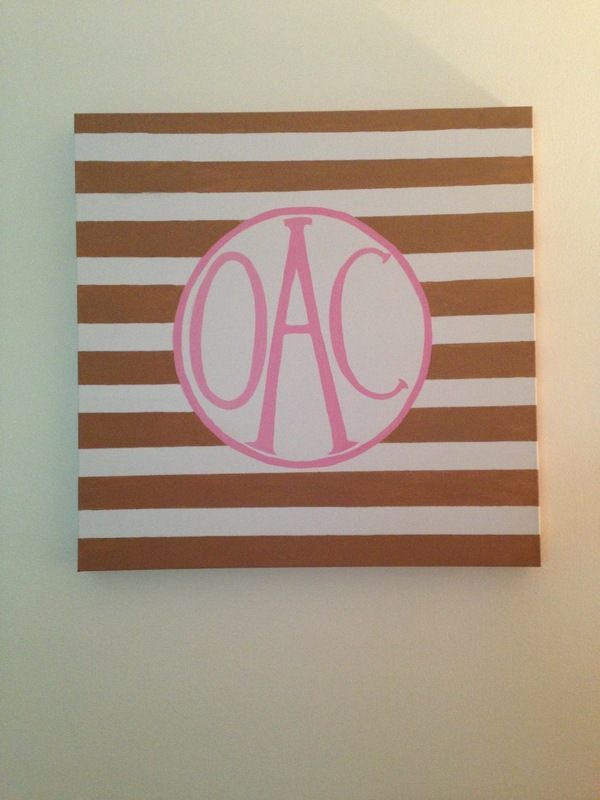 I chose chevron for this side and the other side is a monogram shown later in this post. But here’s how I did it. 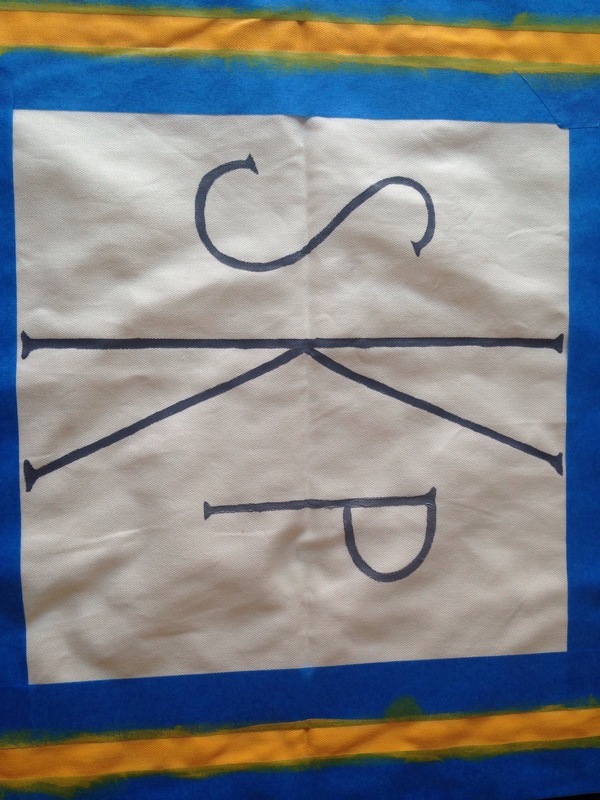 Optional: stamp, stencils, templates, sponges… really any paint technique that can be applied to fabric is a possibility for this project. I started with an Ikea GURLI pillow case this time. The last one I used was thicker with a chunkier weave that made painting a little difficult. The GURLI is thinner with a tighter, less textured fabric that I thought may lent itself better to painting with a brush by hand. It was just as inexpensive ($4). 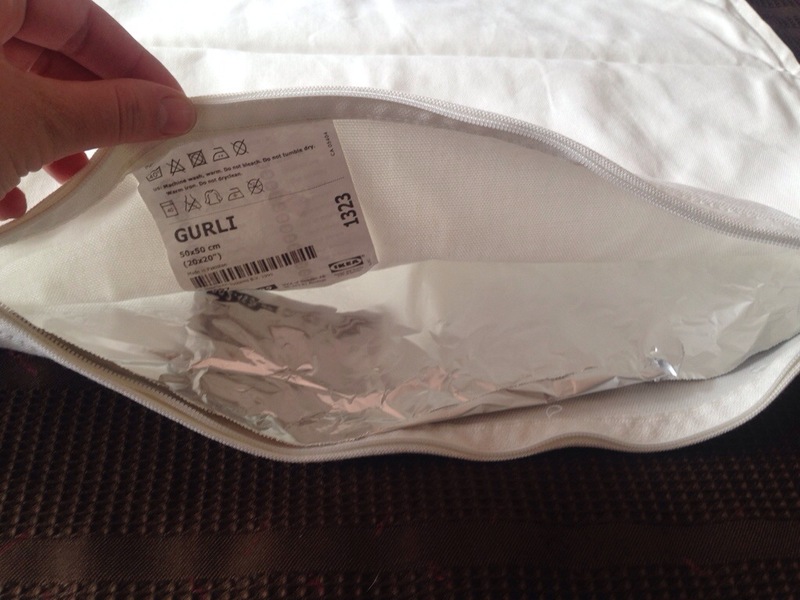 I lined the inside of the pillow case with foil so that no paint would bleed through to the opposite side. I figured foil would do the job but hold it’s shape (and stay in place), stay smooth and be easier to work on than newspaper or plastic. I made sure the foil went all the way to each edge a corner, which meant overlapping two pieces. I knew I’d be painting edge to edge on at least one side so it was important to cover the entire interior with a barrier. Then I taped out my design. I wanted a bold solid colored block border. 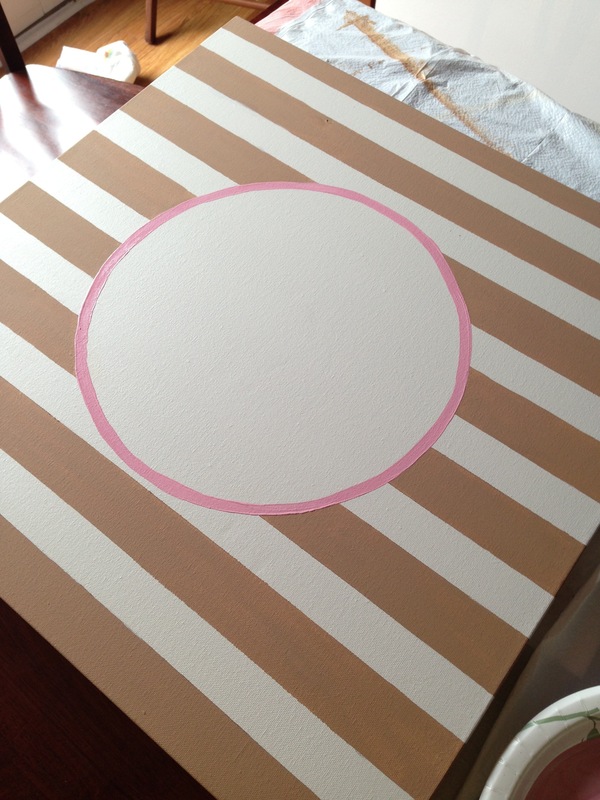 I used the width of my painter’s tape to make my border. This eliminated sketching/marking and measuring. I also extended the tape passed the end of the pillow so that the pillow was taped in place for safety (from my clumsy self). I eye-balled the inside edge tape but it would be a simple 1 inch measurement if you aren’t a great guestimater. I made sure I had straight corners, which require an extra piece of tape here and there. TIP: To ensure against bleeding it is helpful to smooth the tape down well with the edge of a book, credit card or just your finger. 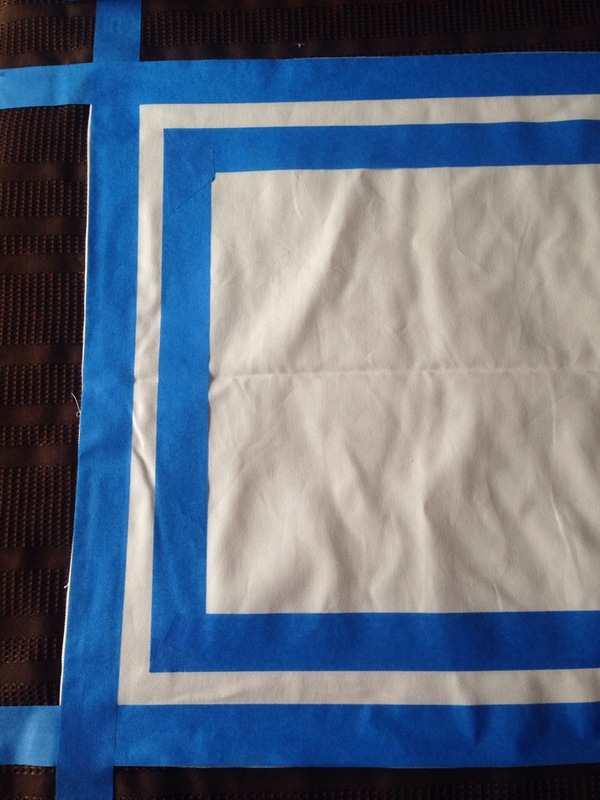 I brushed thin, even coats of fabric paint for the border. 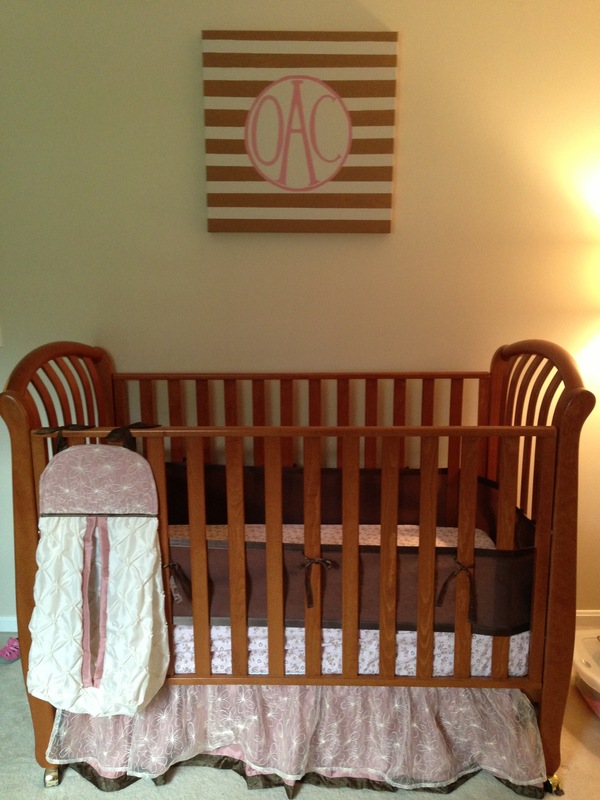 Be sure not to saturate the fabric or the tape. That may cause the paint to bleed under the tape. 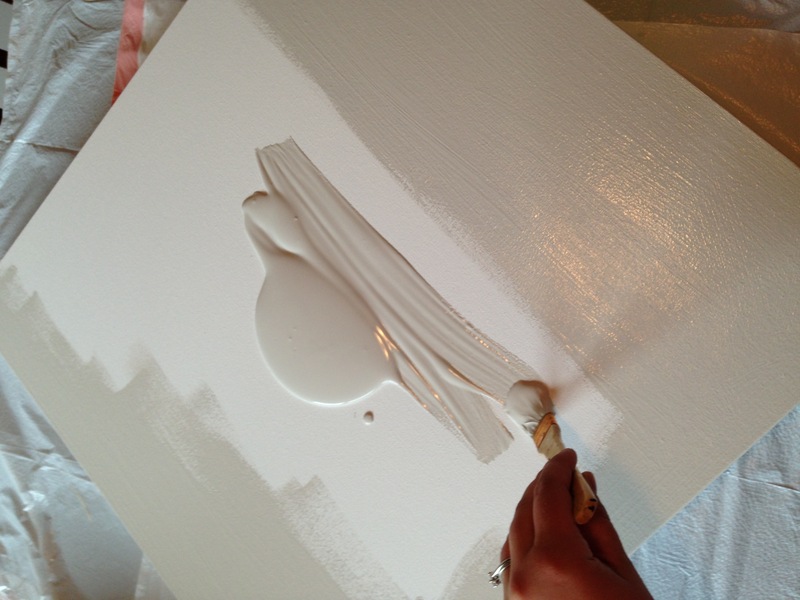 If you don’t get good coverage with one coat then go for a second coat of paint. Its a safer bet to do two lighter coats rather than one heavy one. I especially wanted a clean and sharp edge so I took the time to touch up bare spots and do an extra coat where needed. 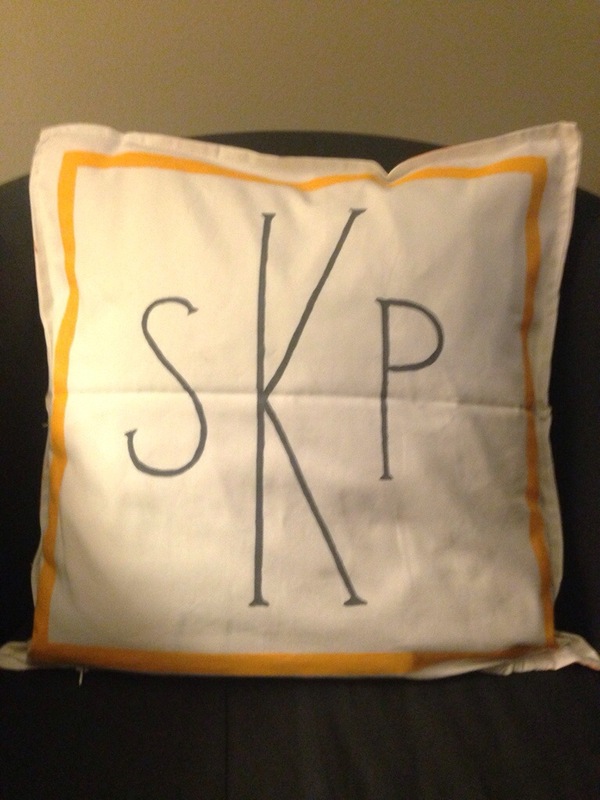 I free-handed a monogram onto the center of the pillow. 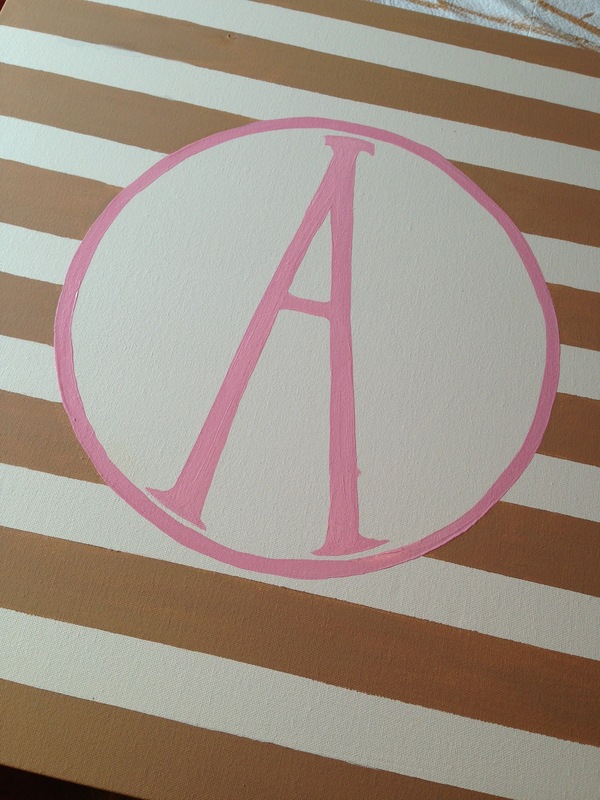 I frequently do free-hand monograms so I felt confident. I really only measured a few reference points to determine where the center of the pillow was. If you aren’t comfortable with free hand lettering then consider lightly sketching with a pencil or maybe even try to trace through the fabric, use a projector or a ruler. I waited for the paint to dry thoroughly before removing the tape. Afterward, I used my hairdryer to “set” the paint and to dry it even more. You can’t be too careful! 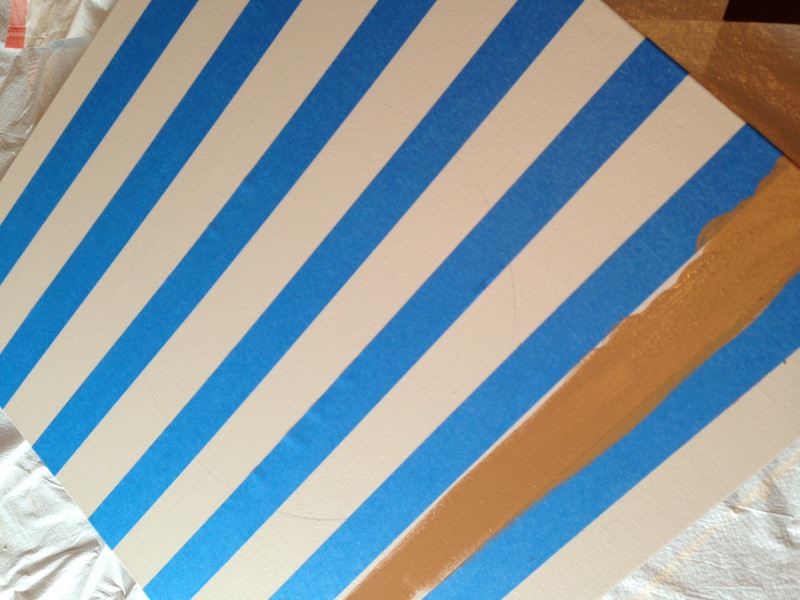 For the chevron side, I used my same tape method as I did for my border on the opposite side. I determined center and used the tape to make the chevron. 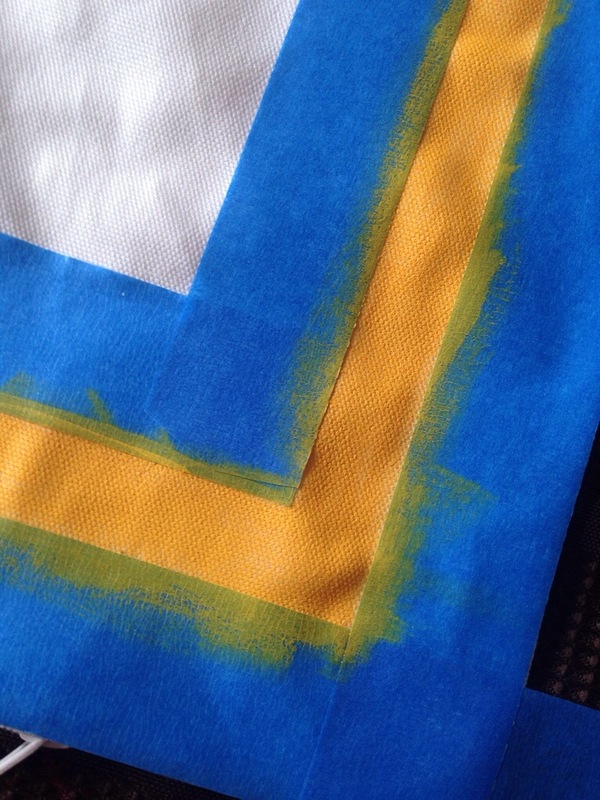 Again, I made sure I had sharp corners and smoothed over the tape to prevent bleeding. 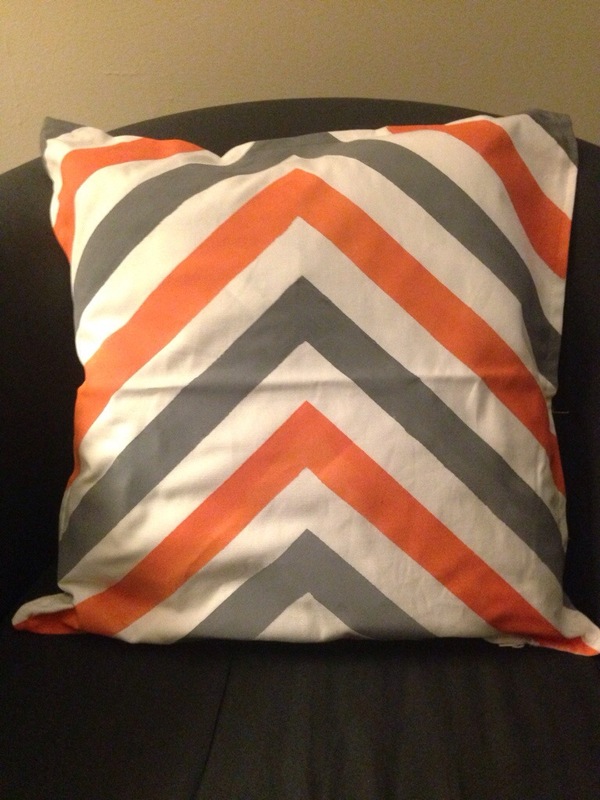 I opted to used the white fabric as one of the chevron stripe colors and alternated gray and orange. When the pillow was finished, I removed the foil (which was extremely effective) then washed and dried it according to my paint and pillow case directions (cold, tumble dry low). This eliminated the stinky fabric paint smell and the heat of the dryer further set the paint (according to the label on my paint at least). Susie is happy with the pillow and so am I! For a no-sew project this makes a pretty awesome pillow. And the possibilities are endless! PSSST: I bought a second pillow case for myself but I haven’t been brave enough to commit to a design for my own house!